HIGHLANDERS have set their sights on derailing FC Platinum's Premiership hopes when they face off at Barbourfields Stadium tomorrow. With Premiership games coming thick and fast, Bosso - who are already out of the title race and languishing on position eight with 37 points from 27 games - are battling to restore lost pride. This means that pressure in tomorrow's encounter will be on FC Platinum who are third on the table with 53 points, three behind leaders Dynamos who take on ZPC Kariba this afternoon. The Zvishavane side must be wary of Highlanders who produced a top drawer performance in their last match played at Barbourfields a fortnight ago when they clobbered Chicken Inn 4-0. That was Chicken Inn's biggest defeat in their seven Premier Soccer League seasons. Highlanders turned on the heat, completely dominating the championship chasing Gamecocks as they went on to dismantle the 2015 champions 4-0 courtesy of a brace by Simon Munawa, goals apiece from Godfrey Makaruse and Ralph Matema. Erol Akbay, Highlanders coach has demanded a repeat of Chicken Inn's performance from his boys and fancies a victory against FC Platinum. In his two seasons at Highlanders, Akbay is yet to lead the Bulawayo giants to a victory against FC Platinum. Last season he lost the first leg at Barbourfields 2-1 and went on to suffer a 3-0 defeat at Mandava. On May 28, 2017, Highlanders drew 1-1 with FC Platinum. "We played well against Chicken Inn, scored four goals and I would like to believe that our bad luck ended when we won 4-0 against Chicken Inn. 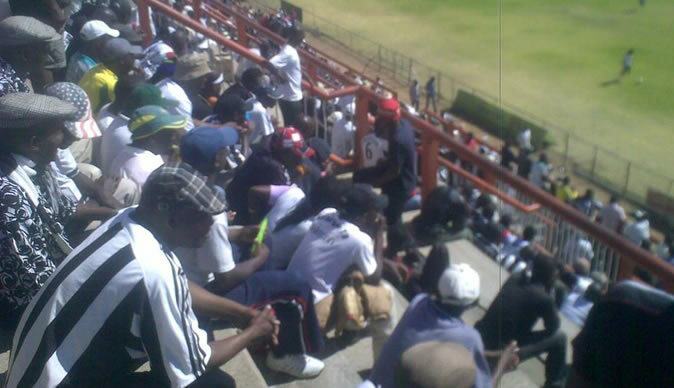 FC Platinum are a good side, with the best defence, they are good when attacking but we are ready for them. My players are looking forward to the game and their application at training has been great. Hopefully we will be able to play good football and get the points we need because we want to end the season on a respectable position," said Akbay. Bosso will have to do without injured attacking midfielder King Nadolo while the duo of Benson Phiri and Tendai Ndlovu are subject to passing a late fitness test. Akbay is unlikely to tinker with the side that beat Chicken Inn. Goalkeeper Nedrick Madeya might start ahead of seasoned goalie Ariel Sibanda with the quartet of Bukhosi Ncube, Honest Moyo, Erick Mudzingwa and Peter Muduhwa forming the defence line while Tendai Ngulube, Rahman Kutsanzira and Munawa will be in midfield. The trio of Gabriel Nyoni, Makaruse and Matema are expected to lead Highlanders' attack. On the other hand, FC Platinum – who have a watertight defence that has conceded 13 goals in 27 matches – will look to goalkeeper Petros Mhari, the Moyo twins Kevin and Elvis, Raphael Muduviwa, last season's Soccer Star of the Year finalist Winston Mhango, veterans Rodwell Chinyengetere and Ali Sadiki to lead them against Highlanders. Ex-national team strikers Takesure Chinyama and Charles Sibanda as well as Mkhokheli Dube are some of the players expected to be in FC Platinum's squad. Meanwhile, How Mine will this afternoon play host to relegation fighters Hwange at Luveve Stadium with Tsholotsho FC being home to Chapungu in Beitbridge.